Aqua Living has two outlets in Washington, one in Seattle and the other just south of here in Sumner city. Our customers enjoy hot tubs, saunas, tanning beds and baths equipped with the most cutting-edge features, such as HDTVs, MP3 audio systems, massaging jets, LED lighting systems and more. 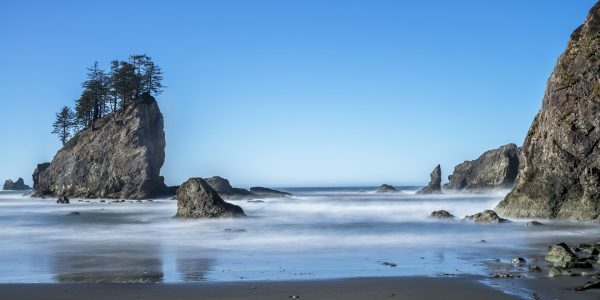 We’re proud to be able to offer our products in Washington, a state that’s revered worldwide for its lush forests, breathtaking beaches and bustling cities. View the contact information for our Seattle and Sumner outlet locations below. Aqua Living offers state-of-the-art products at low price points because we’re not a retailer. Rather, we’re a manufacturer that sells direct to the consumer for Washington hot tubs. Plus, all our products are manufactured in the U.S., so you know that when you’re shopping with us you’re shopping for quality and supporting U.S. jobs. After a long day of hiking through the Cascade Range, strolling through downtown Seattle or exploring the coastline, our Washington customers love to warm up and wind down with a soak in one of our luxurious hot tubs. To make an appointment at our Hillsboro, Oregon, location, give us a call at the number listed above. Our friendly and knowledgeable staff will be happy to help you find a hot tub, tanning bed, sauna or bath that’s perfectly suited to your individual lifestyle in Washington.